I’ve never owned a carbon mountain bike saddle before, but the weight weenie inside me has always been curious about them. 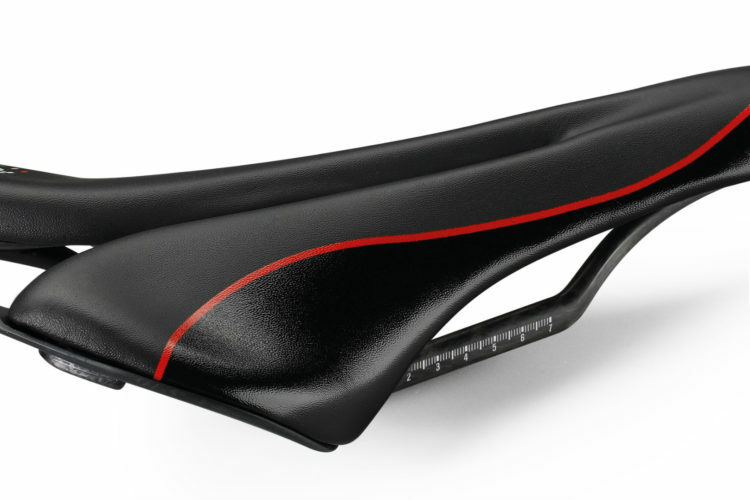 Carbon bike saddles look so impossibly thin, like they’re from the future, and yet, I wondered if I was man enough to endure the potential pain one might cause me. So when I found this $21 carbon bike saddle on Amazon, I couldn’t resist giving it a try. Who needs a carbon mountain bike saddle? Looks a little silly on a mountain bike IMO. 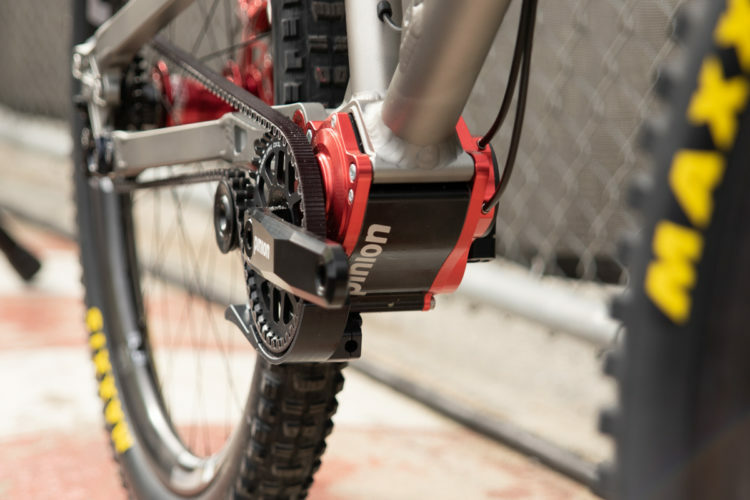 In general, there isn’t much distinction between road and mountain bike saddles. 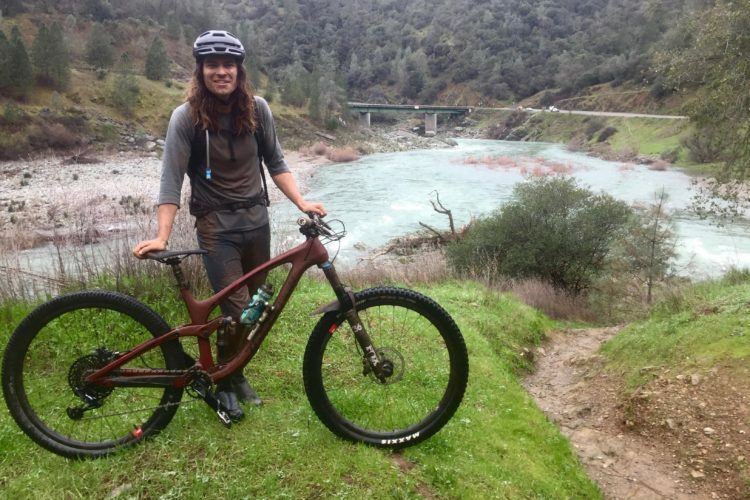 Sure, some companies offer MTB-specific saddles in their lines, but just as many, if not more, companies simply sell bike saddles designed for road or mountain use. On the one hand, saddle preference comes down to how the shell shape and padding lines up with the rider’s sit bones, and whether one is riding on or off road, sitting is sitting. 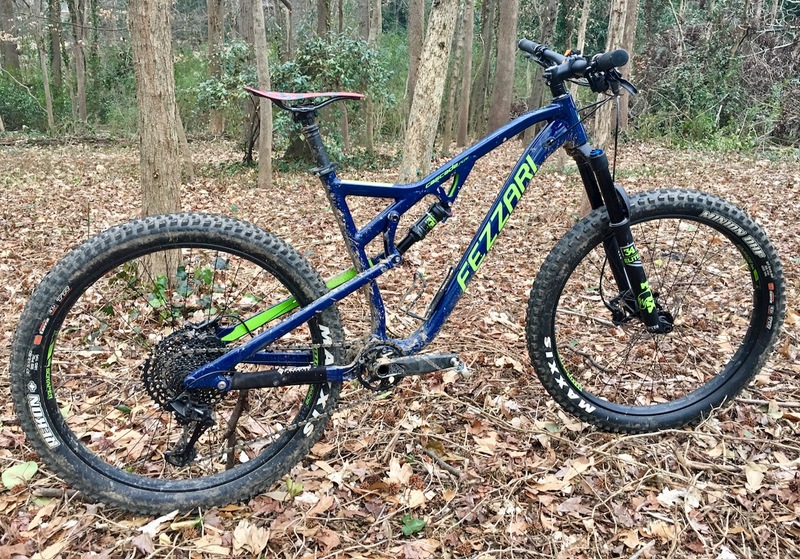 But on the other hand, mountain bikers are much more active on the bike–standing, sitting, and leaning throughout the ride–which places specialized demands on a saddle. So, all of this is to say, yes, mountain bikers can and do run full carbon bike saddles like the one I’m reviewing. 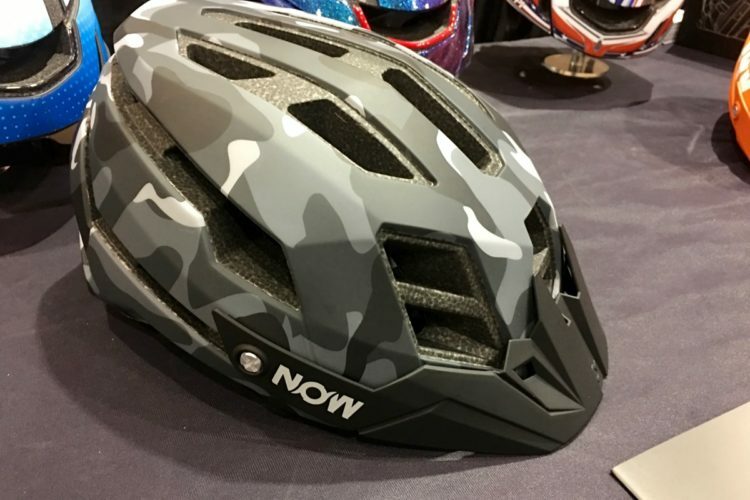 There is nothing road-specific about a full carbon bike saddle, though road bikes do tend to weigh less than mountain bikes, and therefore are more likely to benefit from the reduced weight of a carbon saddle. The saddle I purchased is listed as the “RXL SL Carbon Bicycle Saddle Road MTB Mountain Bike Cushion Cycling Bike Carbon Saddles” on Amazon.com. 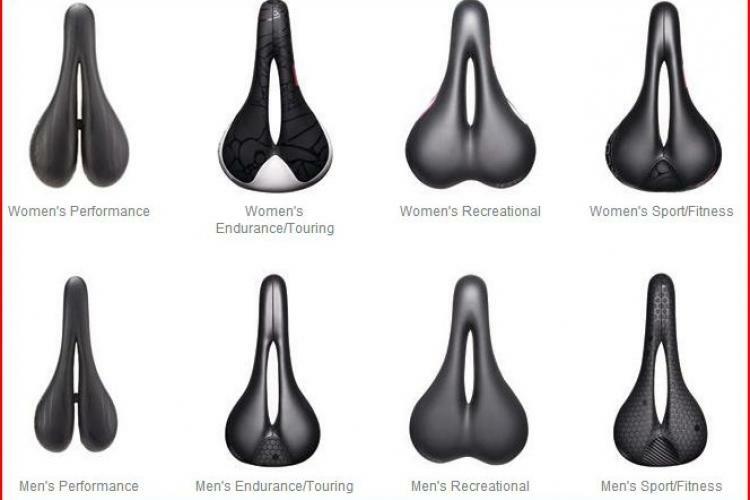 I’m guessing there are other, similar saddles being offered under slightly different names. At the time of purchase, the RXL SL sold for $20.99 USD. 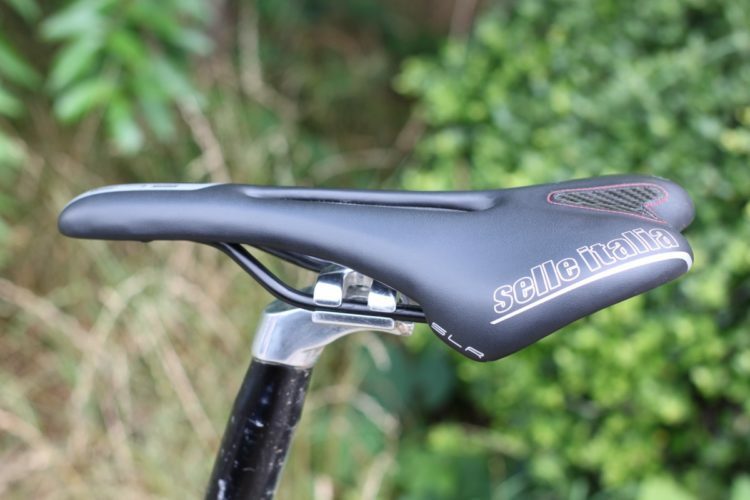 According to the listing, the RXL SL weighs just 100g, which is about half what a mid-level padded saddle weighs. Mine actually weighed much less–85g, ±3g–which is on par with full carbon saddles that cost $400 or more. 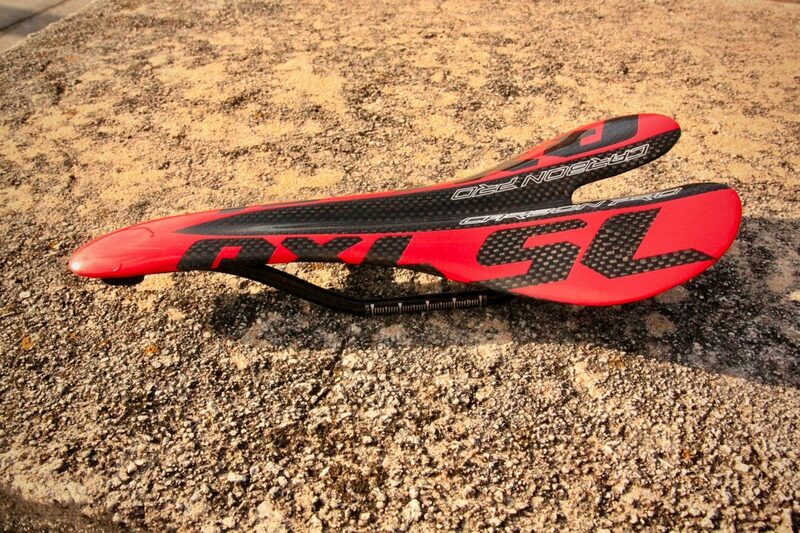 If weight were the only concern with a saddle, the RXL SL would be a clear winner. 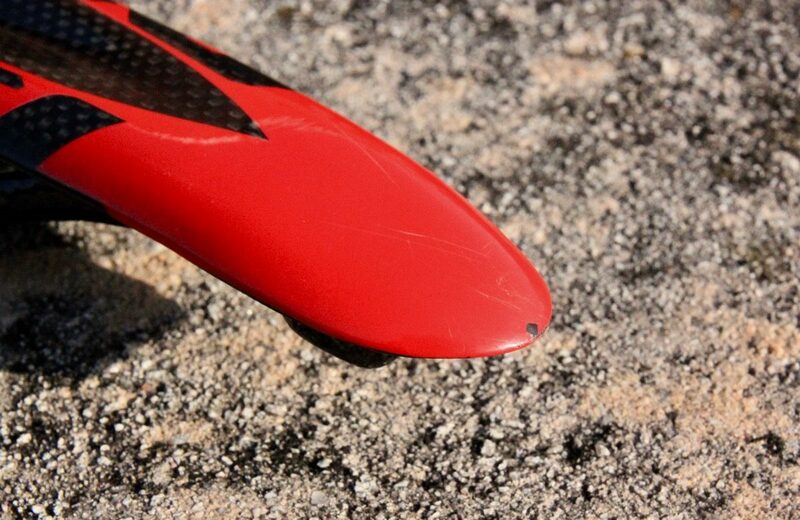 Both the shell and saddle rails on the RXL SL appear to be made out of carbon fiber. The shell is stiff–even the outer edges barely deflect when I try to bend them with all my strength. The rails feel equally stiff, enough so that I decided to actually mount the saddle to my bike and go for a few rides. 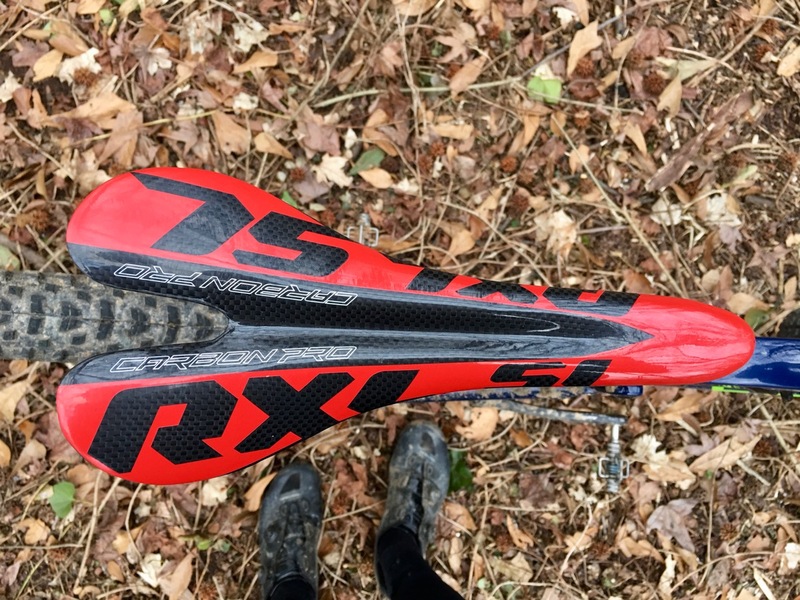 Obviously, the RXL SL doesn’t offer any padding or a cover, though I suppose the red paint on portions of the saddle might count as a partial cover. I chickened out on my first test ride. 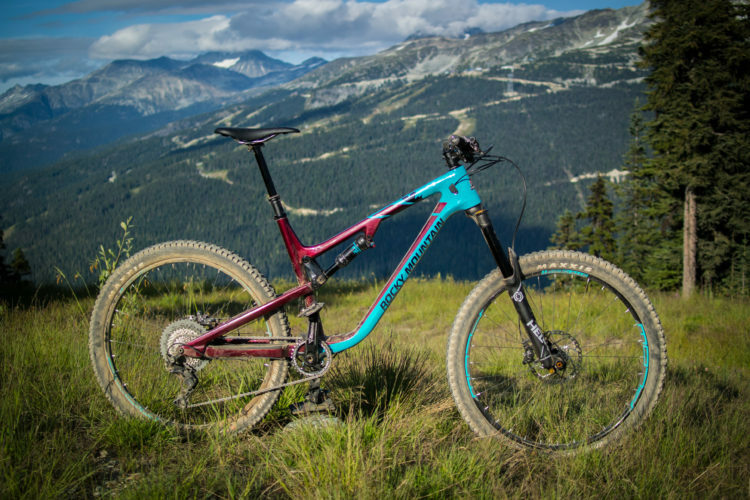 The RXL SL sat in the office for a good week before I mustered up the courage to mount it to the Fezzari Cascade Peak I was testing. I told myself I was waiting for just the right ride; perhaps a short, 5-mile, after-work ride would be a good way to ease onto the saddle. But with no short rides on the immediate horizon, I bit the bullet and mounted the saddle before heading out for a planned 20+ mile ride. 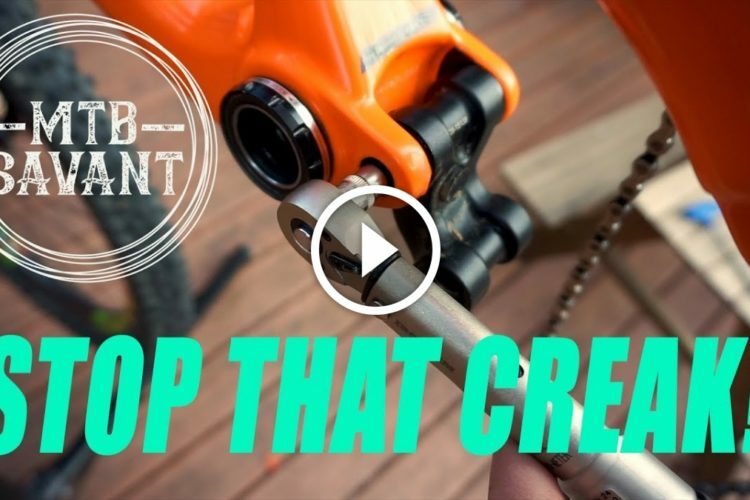 I had zero issues mounting the RXL SL to a Fox Transfer dropper post. The saddle rails fit just fine, though I probably should have used a torque wrench to make sure I didn’t over-tighten the clamp bolts. The rails appear to be carbon fiber, after all. One of the first things that surprised me about the RXL SL–and perhaps full carbon saddles in general–is how slippery the thing is. I suppose this is something riders get used to over time, but I found myself slipping off the front and the back at various points while trying to get a feel for the saddle. And even while I was seated and pedaling, I could feel my shorts slightly sliding back and forth. Another thing I noticed is the edges of the RXL SL are especially grabby, mainly due to the fact that the shell is so thin. 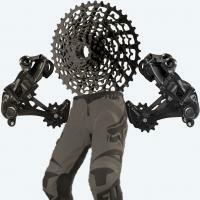 Mountain bikers who wear baggy shorts, in particular, should be concerned. Imagine trying to slide a pair of baggy bike shorts over a credit card held horizontally. At some point, the card is going to get sucked into the fabric and won’t want to let go! Unfortunately, the shell edge on the RXL SL saddle isn’t particularly smooth, either. Running a finger around the edge, there are almost imperceptible burrs, perhaps edges of the carbon weave poking through the resin. I imagine more expensive carbon saddles have a much finer edge finish than the RXL SL to avoid this problem altogether. So, how did the saddle feel after a long ride? I actually stuck with the RXL SL for multiple long rides, and I have to say, it wasn’t too bad. No, it wasn’t as comfortable as a padded saddle, but I never felt like I needed to cut a ride short, and there was no lasting damage to my nether regions. But ultimately I’m not sure the shape of the RXL SL is a great fit for my sit bones. Perhaps an RXL SL with a different width could prove to be more comfortable for me personally. Throughout my test rides, the RXL SL felt stiff, with very little flex. This was actually a relief for me, as I envisioned the saddle simply bending and breaking under my weight at some point during the test. Fortunately, the RXL SL held true. A chip and some scratches on the nose of the saddle. 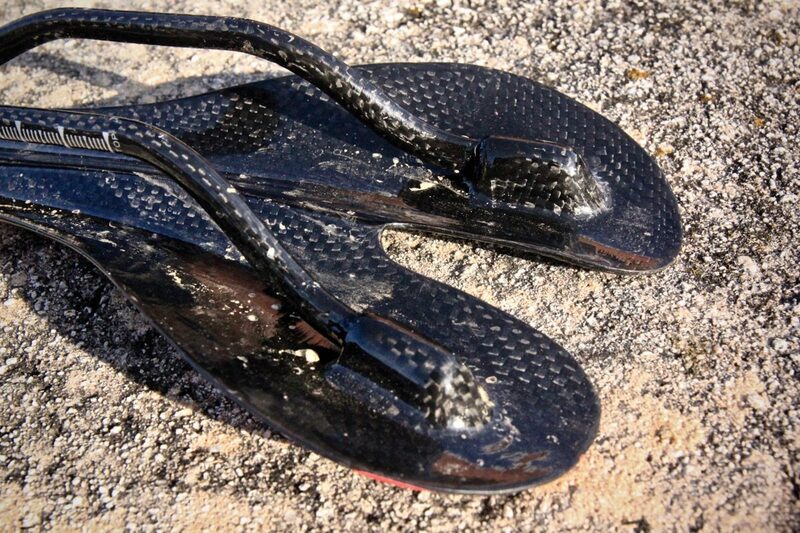 After a few rides, I inspected the saddle and found some mildly concerning signs of wear and tear. A chip developed on the nose of the saddle, though it’s hard to tell if it’s just the paint or the actual carbon fiber resin. The saddle rails also developed rough spots where they were in contact with the seatpost clamp. Again, it’s hard to say if this is just cosmetic damage to the finish, or if this could develop into something more serious over time. Note the rough patch on the top rail just past the bend on the left side. This is where the saddle clamp was attached. In the end, I decided the RXL SL is probably worth the $21 I paid for it. This isn’t a saddle I would run every day, but it could be a nice choice to use on race day to get bike weight down as low as possible. And by only using the saddle occasionally, I wouldn’t be too worried about it wearing out or being uncomfortable. Racing is supposed to hurt anyway, right? Whatever it takes to win! Nice review! Looking at your picture closely, it looks like this is a scuff on the 3K finish layer due to over-tensioning the mounting bolts. 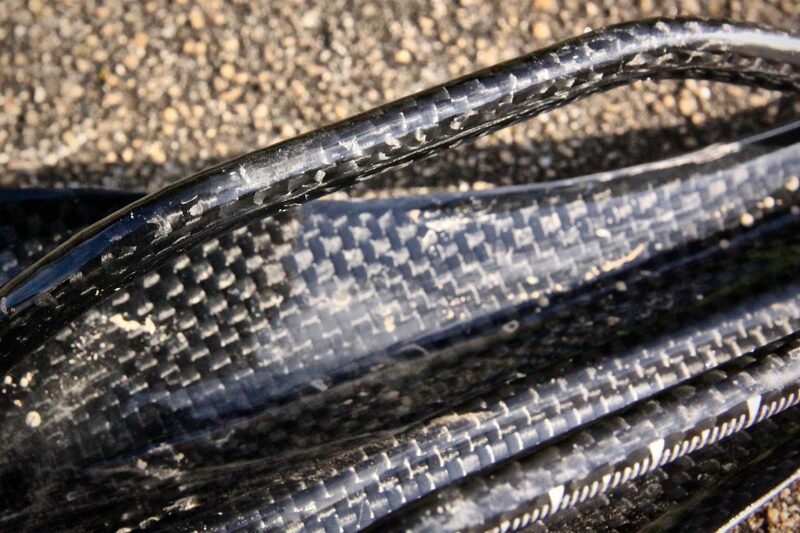 There is a solid tube of molded unidirectional weave carbon underneath this layer which is likely unaffected. My brother ran this same saddle mold (from Ulicyc, made in the same factory as RXL) for over a thousand miles on rough XC. He just doubled on the padded shorts and had no complaints about abnormal wear, handling, or “comfort”. I’m not a raw carbon saddle guy, but as an XC weight weenie, I’ve put 500 miles on this 135-gram saddle which costs $30. Saddle is fairly new to the market and has been getting a ton of orders lately on a lot of channels. 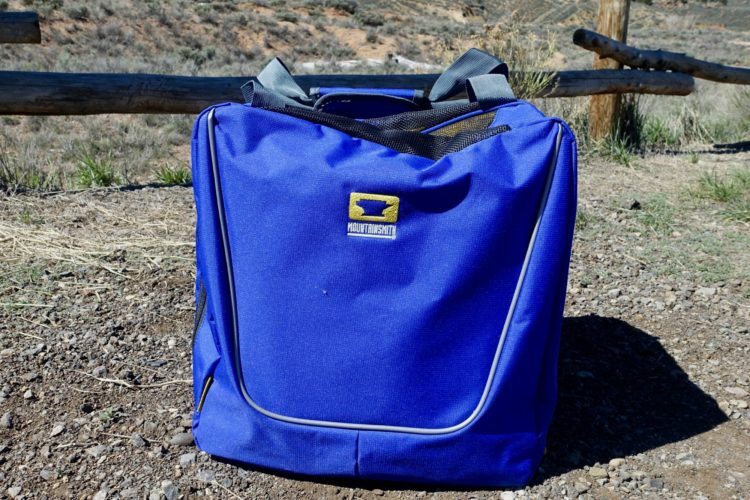 Won’t snag your baggies and has a genuine 1/4 inch layer of firm gel padding. https://www.aliexpress.com/item/MTB-road-bike-Comfort-MTB-Wide-Bicycle-Seat-Carbon-Fiber-Bike-Saddle-Bicycle-Saddle-Bike-Seat/32766321631.html.